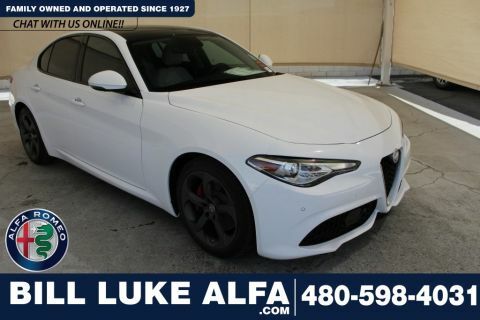 Only 9 Base Sport models left in stock! 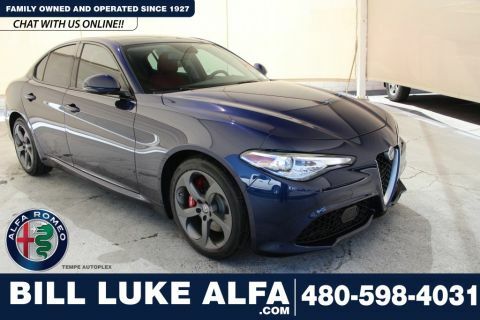 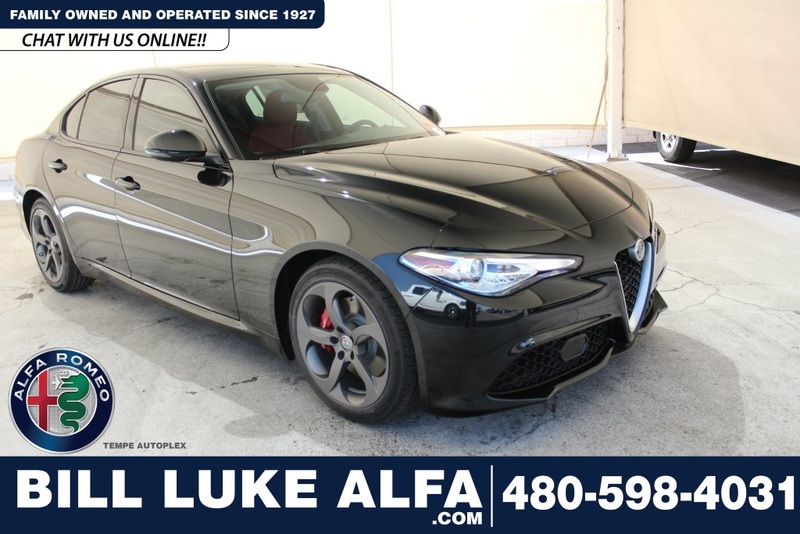 Black 2019 Alfa Romeo Giulia Sport RWD 8-Speed Automatic I4 8.8" Nav Radio w/SiriusXM Package, 8.8" Widescreen Color Display, Colored Brake Calipers, Dual-Pane Sunroof, Gloss Black Shark Fin Antenna, Gloss Black Window Surround Moldings, GPS Navigation, HD Radio, No Satellite Coverage w/AK/HI/PR/VI/GU, Quick Order Package 22K Sport, Radio: AM/FM/HD Bluetooth w/Nav 8.8, SiriusXM Satellite Radio, Sport Front & Rear Fascias, Wheels: 18" x 8.0" Sport Aluminum. 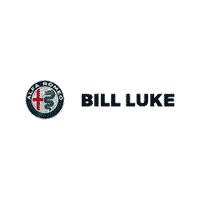 From new FIAT models to used cars…From routine maintenance to repairs…Bill Luke Tempe, serving Phoenix, Scottsdale, and Chandler, has you covered. And, if you want to repair your vehicle yourself, we can get you any of the manufacturer-certified FIAT parts you might need along the way.